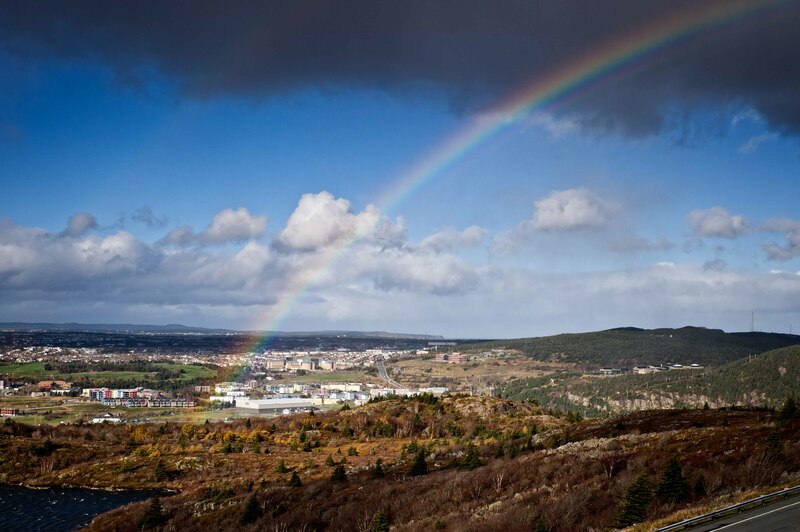 This entry was posted in Canada, Newfoundland, St. John's and tagged Atlantic Ocean, Canada, Canadian East Coast, Newfoundland, Rainbow, Signal Hill, St. John's, St. John's Port, Topsail Beach, Travel. Bookmark the permalink. My wife and I have yet to visit the eastern maritime provinces. We’ve often talked about it but haven’t yet found the time. I know BC is a beautiful place but I am sure Ontario and Maritime provinces are beautiful too and it worth to visit them. Welcome! No fair! We rarely get rain here in California to chance upon a rainbow. Thanks for sharing. It looks so cool esp. being there ‘orignating’ from a normal neighborhood. Exquisite captures, Alexander. Thank you Rommel for your generous words! Now we know what is at the end of the rainbow, and it is all beautiful. Thank you Gallivanta! I think you have somewhere in New Zealand the same lovely and beautiful home for the Rainbow. Thank you Hanna! Let’s leave this science explanation for the scientists. We must maintain our ability to remain children and see the World through their eyes. Thank you very much for all of your comments on pictures in that post. Thank you, Alexander 🙂 Have a nice evening too.